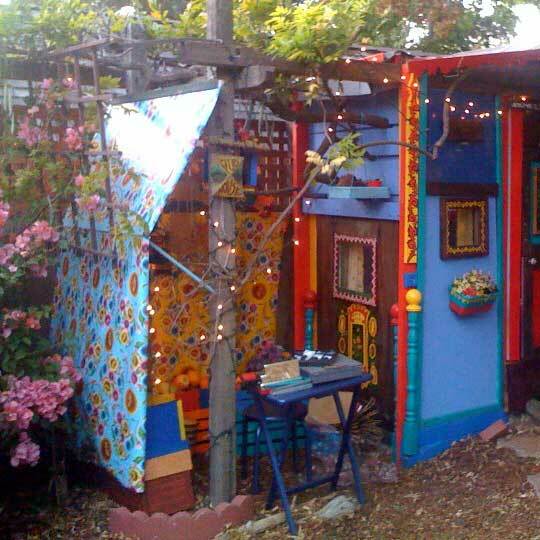 Relaxshacks.com: Holy funky, weird, wild, neighbor-angering, hippied out, shed/tiny house! 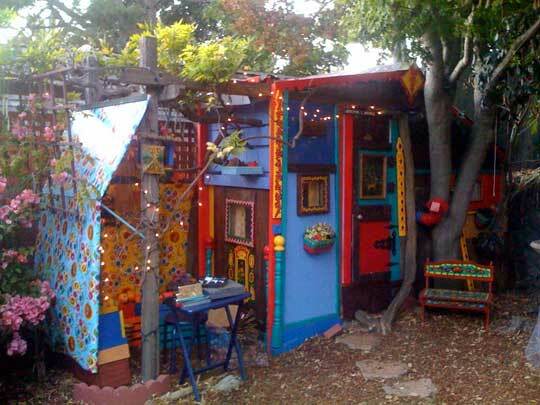 Holy funky, weird, wild, neighbor-angering, hippied out, shed/tiny house! The world's wildest/ugliest shed/tiny house??? I wish I could find photos of the interior of this one- I think its a kids fort, but what an out-there guest house/shed this one would make! Its just CRAZY! I'd dub it the "Little Shed Dormitory"- "L.S.D. "- lol.... very cool/unique though! I love it!